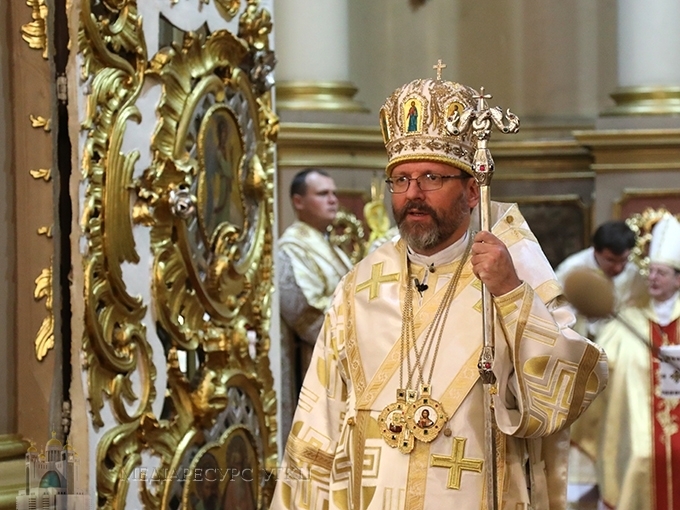 In St Yura Cathedral, on September 3, 2017 during the Hierarchical Divine Liturgy led by the Father and Head of the UGCC His Beatitude Sviatoslav, took place the solemn episcopal ordination of Bishop Andriy (Rabiy), Auxiliary Bishop for Philadelphia Archeparchy. 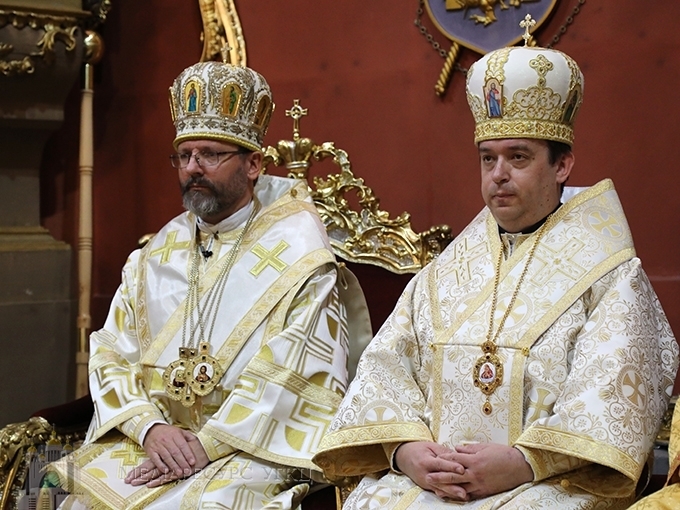 First of all the Apostolic Nuncio in Ukraine, Archbishop Claudio (Gugerotti), read a bull from the Holy Father Francis, where the Pope proclaims the father Andriy Rabiy the Auxiliary Bishop of Philadelphia, assigned him the Titular See of Germaniciana (US), granting all the rights and imposing obligations, which are connected with the dignity of a Bishop and authority according to the norms of the Code of Canons of the Eastern Churches. 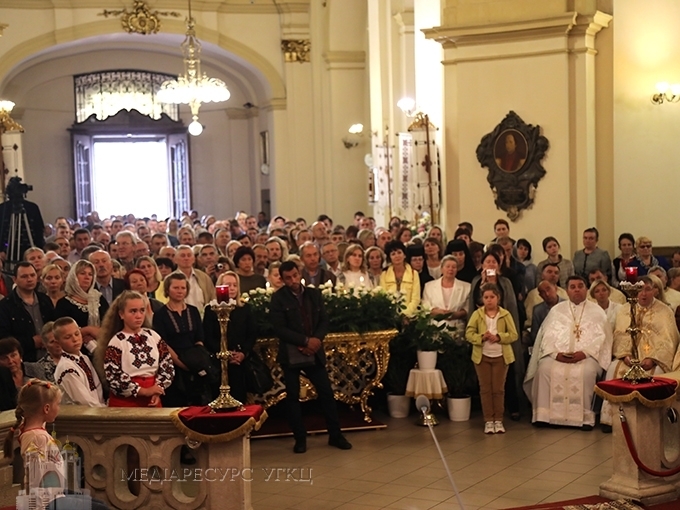 During his homily to the faithful the Father and Head of the UGCC His Beatitude Sviatoslav noted we became participants and witnesses of a special event. «We saw," said the Primate of the UGCC, "how the Father, the Son and the Holy Spirit care about our Church. Because of His deep mysterious will our Lord planted a vineyard of the Ukrainian Greek Catholic Church in the whole world..."
The preacher reminded that last week in Kyiv and Lviv we celebrated the 50-th anniversary of the World Congress of Ukrainians. "I saw our Ukrainians from various corners of the globe: from Southern Africa, Japan, China, from those countries, where we even cannot imagine that our Church is present through our faithful sons and daughters. Today we became participants of the episcopal ordination of the new Bishop, whom the Father sends in order to care for our Church in the US," noted the Head of the Church. Today we are asking ourselves, says the hierarch, what it means. What gospel, what good news the Ukrainian Greek Catholic Church is telling from Ukraine – its maternal territory - for its sons and daughters in the whole world? "First of all – it's that the Lord and we, as his servants, care about our faithful in this whole world. Let us ask ourselves today, in what relation is this servant or us, as Bishops or priests, with the Master of God's vineyard? We are not its owners, not its hired workers. Then who are we? Who is this Bishop, whom the Lord presented before our eyes today? He is a participant in the ministry of the very Son of God, Jesus Christ. He was given today by Jesus Christ, in the power and action of the Holy Spirit, the fullness of His eternal priesthood," believes His Beatitude Sviatoslav. 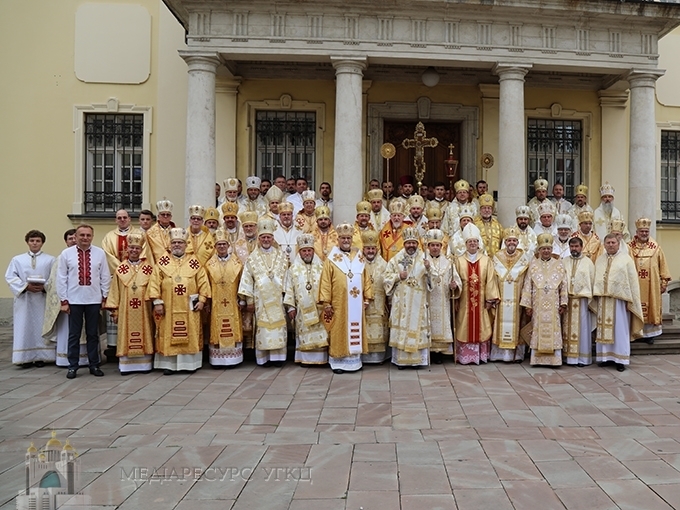 "Dear Bishop Andriy," addressed the new Bishop the Head of the Church, "we said today that Jesus Christ Himself, as the Son of God, became a vineyard, in His Person combined two natures, divine and human. We solemnly confessed this in "The Creed" before today's ordination. We can say that in your personality the Lord our God combines two realia of our Church — Ukrainian and American. You are a son of this land, a son of prince's city of Lviv, but the Lord called you for the ministry in another country, in another culture, in another dimension of the social, cultural and church life. But those two realia you combined in your personality. That is why today we feel the holiday of strength and unity of our Church." In the Head's of the Church opinion, it doesn't matter where the children of Ukraine are living today, in Ukraine or in this settlements. This is one and the same God's vineyard, which the Lord our God planted, whom He protects and whom He cares about in an extraordinarily merciful fatherly way. 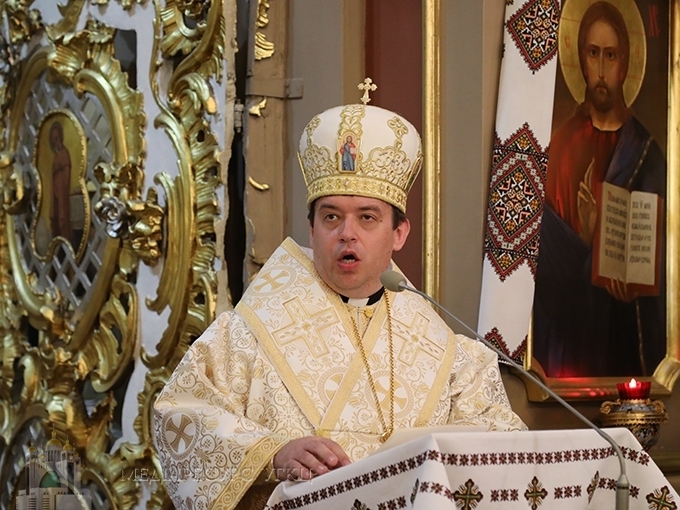 Finally His Beatitude Sviatoslav thanked the parents of the Bishop Andriy for such a wonderful son. The UGCC Department for Information.